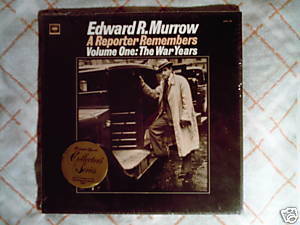 Columbia AO2L 332 boxed set of 2LPs (first released 1967) Edward R. Murrow A Reporter Remembers Volume One: The War Years Selaed, unopened. Entries dated August 1939 to February 1946. This set won a Grammy in 1967.